It is easy for the residents of Denver, and the millions of people who visit the city ever year, to fall in love with this vibrant and picturesque city. 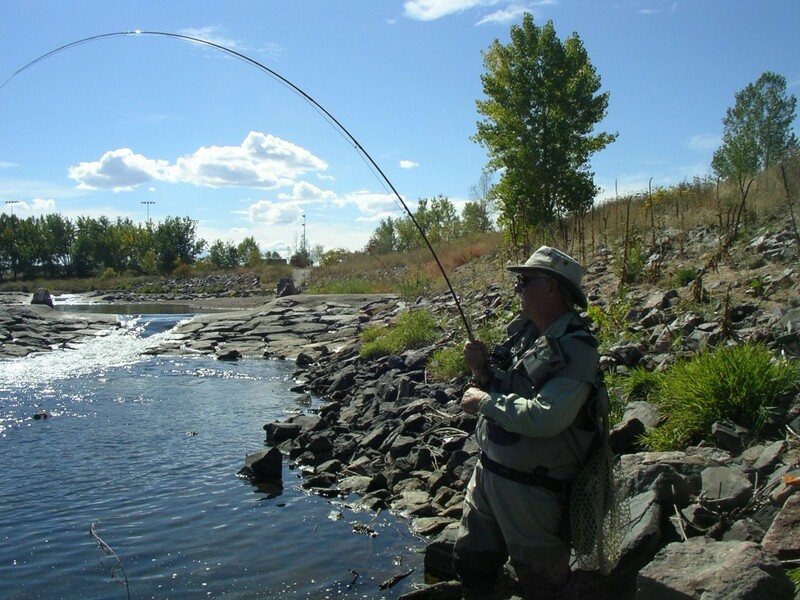 Denver Fly Fishing is one of the city’s best kept little secrets. Denver really is a “Mile High City”, located on rolling plains just a few miles east of the foothills and Front Range of the Rocky Mountains, providing a panoramic view from the city of some 200 individual mountain peaks. The city of Denver has much to offer, from museums, galleries and zoos, to sports, delectable dining and eclectic shopping. Many visitors, however, are drawn by the unsurpassed opportunities for year round Denver fly fishing. Call our Denver location at the number below to connect with a store representative. With more than 6,000 miles of rivers and over 2,000 reservoirs and lakes, Colorado offers some of the best fly fishing that can be found anywhere. Many of these world class fisheries are located only a short distance from Denver. City residents and visiting fly fishermen and women from around the world find it hard to resist the urge to test their skills against these trophy fish. Bottom release of waters from the many dams and reservoirs near Denver ensures optimal temperatures and an abundant food supply for fish in these waters. This is a perfect environment for rainbow and brown trout, for example, to grow to trophy size, and the ideal conditions for them to multiply. Imagine 7,000 rainbow trout per mile, as is reported in some of these waters. For fishermen and women who have the time, fishing on their own is a great way to experience the splendor of the Colorado outdoors. For many anglers, the work of collecting proper gear, researching conditions, identifying access and flow at specific fishing locations, and working out the currently effective fly pattern is an enjoyable part of the sport. Others, though, would simply prefer to spend all their available time on the water, actively fishing. The option then is to hire a Denver fishing guide. This is especially true for those new to the area or just beginning the sport. Talk to a reputable Denver fly shop such as Minturn Anglers. These people are avid anglers, on the water just about every day, and love to pass on their skills and knowledge to their clients, even the most inexperienced. Minturn Anglers professional fly fishing guides are available for both half day and full day trips in or around Denver, and can rent or borrow what additional equipment that might be required. 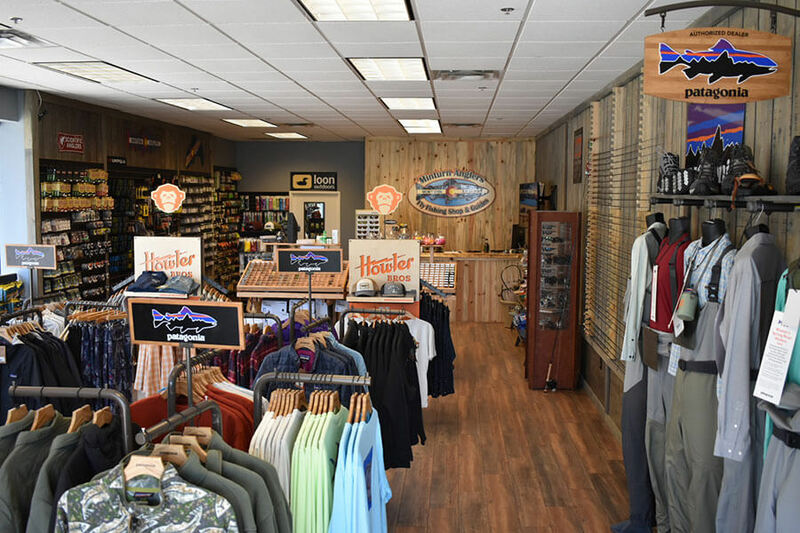 Staff at this popular Denver fly shop can provide expert advice about extra gear and equipment that might need to be purchased, whether it is clothing, hats, waders, a new rod or those extra special fly patterns that seem to be working so well right now. Of course, don’t forget the fishing license and stamps. See the Colorado fly fishing license page. These experienced Minturn Anglers guides bring their clients to the best spots for the biggest catches. Talk to one of them to discuss options, and book early. Don’t forget to ask about the private water locations available exclusively to Minturn Anglers, perhaps choosing a day at the famed Boxwood & Long Meadow Ranch. As a member of the Rocky Mountain Angling Club, Minturn Anglers also offers excursions to one of the Club’s 40 prime fishing locations throughout the state. In Denver, fly fishing is a winter sport as well. Minturn Anglers guides would be pleased to provide a Walk and Wade trip for an unforgettable winter fly fishing experience in the tailwaters near Denver. Every season of the year, count on the professional guides from Minturn Anglers to bring clients to the most productive fly fishing locations.